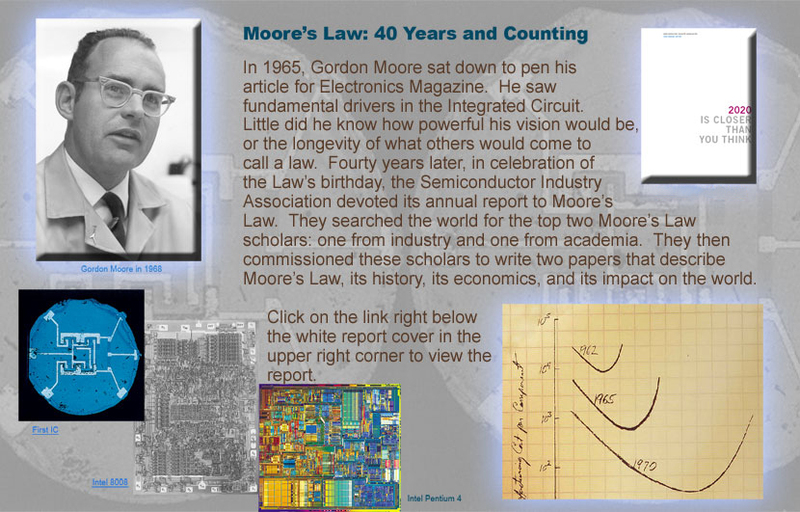 Summary : In 1965, Gordon Moore sat down to pen his article for Electronics magazine. Eventually, it would come to be known as Moore's Law. This is an overview, published Forty years later, celebrating how it was still going strong in the mid-2000's.